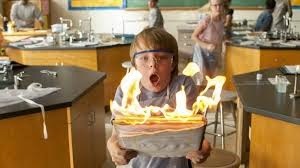 Eleven-year-old Alexander Cooper has had a horrible day. His friend has texted embarrassing, doctored photographs of him to the whole school. His birthday party falls on the same day as the party of a more popular student, and it sounds like his will go unattended. When Alexander tries to share about his day with his family, they do not listen; they are distracted by their own lives. His older brother, Anthony, is getting ready for tomorrow’s prom. His sister, Emily, is preparing for tomorrow’s school play. His overly-optimistic but out-of-work father is enthralled by the day he has had with his infant son Trevor, and is also focusing on tomorrow’s job interview, and publishing executive mom Kelly is preparing for a very important book release. Frustrated and alone, Alexander wishes that his family will understand what it’s like to be him – that they will know what it means to have a completely horrible day. And, since this is a Disney movie, wishes do come true. Kids in foster care may struggle with magical thinking that makes them feel responsible for their removal from their parents. Alexander feels responsible for the bad days his family members are having. This film doesn’t really have adoption or foster care themes, but it does have a strong “family” theme – and all foster families and adoptive families are, after all, families. I generally like Ben’s optimism, but the film shows how even optimism isn’t always the right response. The film suggests “some days are just bad,” that you have to accept that, and move on. I think there’s value in allowing kids (and grown-ups) to acknowledge pain and sadness without feeling the need to put on a happy face. Sometimes we have really bad days, and acknowledging that is an important part of processing it. The film also shows that hard times can bring families together. Kelly notes that Alexander has been moody since the arrival of Trevor. In fact, it seems like Alexander has been a bit ignored. He’s also been the baby of the family for ten years, so it would make sense that he’s having a bit of trouble adjusting to his new role. There’s a rather frightening car accident. Alexander’s birthday party is Australian-themed. His parents book a group of Australian cowboys as entertainers without realizing that they are strippers. Thankfully, they realize it in time and successfully request a “PG” show. Clothes stay on. This joke will probably go over most young kids’ heads. Kelly accidentally walks in on Anthony while he is undressed in the bathroom. Anthony's girlfriend attempts to comment humorously on the awkwardness of his family; she asks,"Are you sure you're not adopted?" This could be an unexpectedly uncomfortable moment for some viewers. 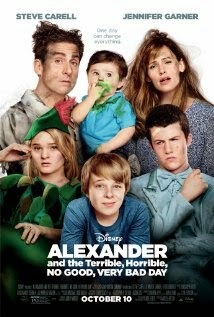 Alexander and the Terrible, Horrible, No Good, Very Bad Day is a funny movie. The kids I attended with enjoyed it. Aside from a rather frightening car crash, there’s not much to worry about, and there are two therapeutically valid and helpful messages to reinforce: It’s OK to call a bad day a bad day, and families can stick together even in the midst of bad days. What hard times has your family survived? Have you ever felt, like Alexander, responsible for something that really probably wasn’t your fault? Have you ever felt, like Alexander, like no one cared enough to listen to you? Is it OK to feel sad? Let's not forget the horrible line "Are you sure your not adopted?!" You're so right, Erin. I noticed that when I saw the film, but forgot to mention it in the review. I added it in. Thanks for catching that.